Your identity was enmeshed in cars—you were quite animated and willing to share a multitude of car stories. After all, you were a car guy who even amused us by turning a prompt on the Kentucky Derby into a car piece. You didn’t seem to understand that some of us have less than a zero interest in cars. But as you led us into your life, your interests, we learned. You welcomed us and our interests into your life. As you pulled us into your journey, you became a part of our journeys. However, you were more that a car guy. 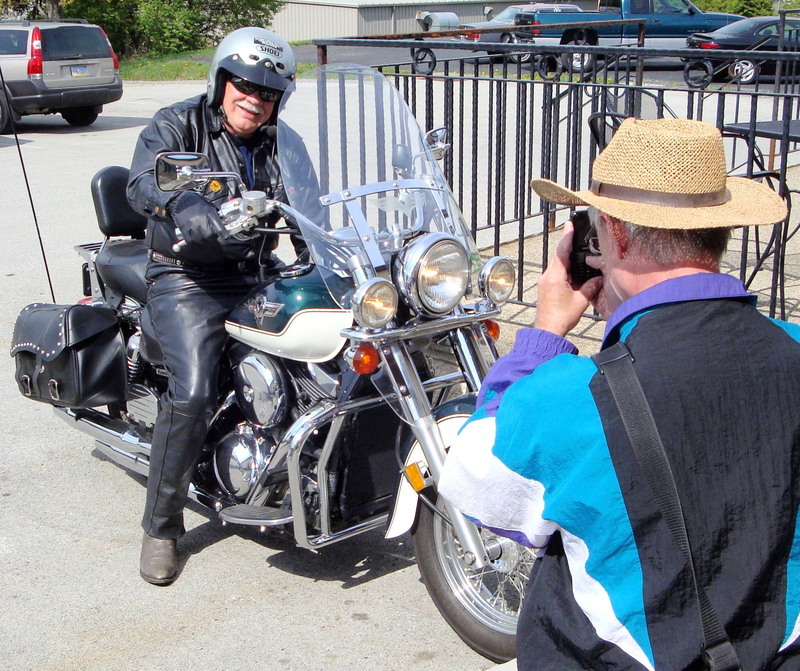 You were many things— a motorcycle guy, a radio controlled airplane guy, a photographer guy, a writer guy, and lately you talked about God almost as much as you talked about cars. You were proving to also be a faith guy. In the beginning you had a difficult time with our critique of your work. Then you analyzed our comments and discovered that there was a consistency across the board in those comments—an agreement among a diversely experienced group of writers. You were sold. Why didn’t everyone make comments on the pieces you wrote? You began to complain. After all, you were listening…and seemed eager to rearrange your thoughts on your pages if we felt it would read better or make more sense. One night at Mello Mike (a Ligonier, Pa., weekly open mike event) you asked a member if she noticed a change in you. She answered: Yes, you have mellowed. The expression on your face crossed between confusion (because in your mind possibly you saw no need to change) and acceptance (a feeling that was very difficult for you to accept). Through your months with us you came to know us, and trust us, and you became comfortable and relaxed with us. When you read your writing, you reminded me of Andy Rooney, we agreed. After we were ousted from our meeting room one Friday in May, you volunteered to provide the food for the meeting at Carolyn’s house. You wanted to give something to the group. You gave your entire being to the meal—you and Nancy brought the entire picnic—from the paper plates to the meat. It was wonderful. Your generosity extended in directions unknown to many. You went out of your way to provide rides not only for members of our group, but for members of the Westmoreland Photography Society. One member had plenty of time to talk to you during the rides you offered her (but would never accept gas money in return). I learned that Bob was a veteran of the Army and that he was a cancer survivor—but I was shocked to learn that he had fallen out of a helicopter three times! I visited Bob’s home and met his mother before her illness set in. Bob frequently shared his worries over her mounting hospital bills. Then came a heart attack and expected surgery. 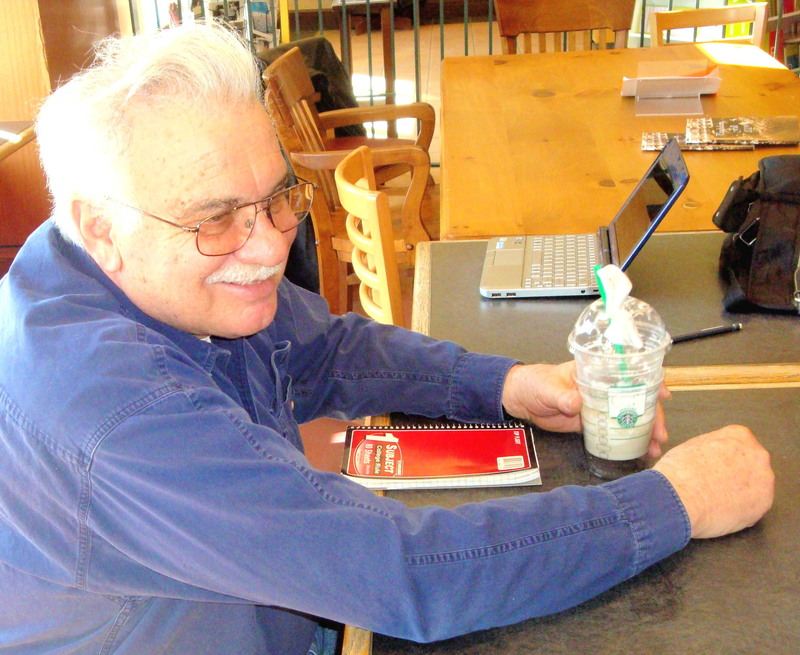 In the writer’s group Bob wrote about dying-being clinically dead but not seeing a light or anything. Bob had survived so much in his life that somehow I thought he was impervious to death. On one ride Bob told me The doctors said I could have another heart attack at any time. Oh my God I thought. And here he is driving! With me in the car! I tried to inject humor into the situation by responding: Bob, I can’t drive a stick! 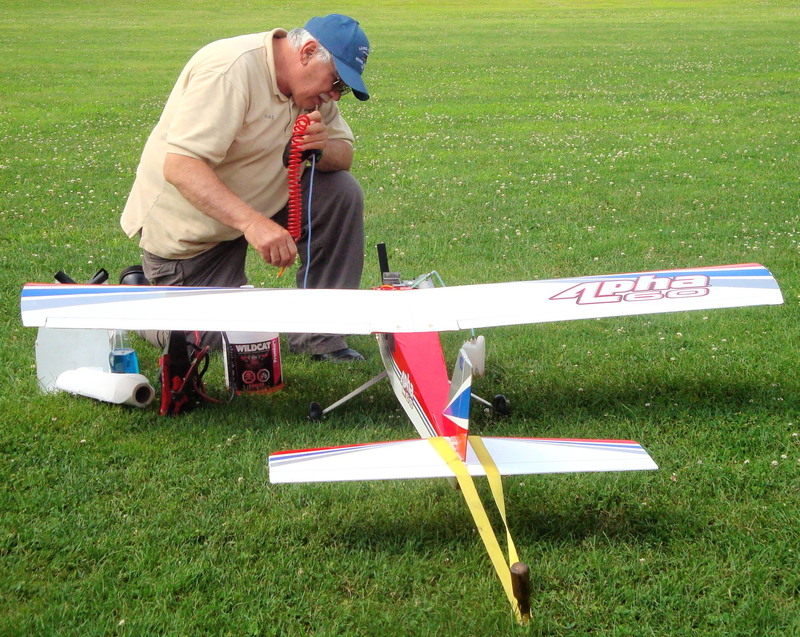 In your enthusiasm for radio controlled airplanes you hosted at least two members of the Beanery Writers at practice sessions in Monmouth Park. Bob, you might be surprised to hear what people thought about you. Very intelligent, very interesting character, a keen sense of humor, kind, caring, generous, willing to learn and grow. Okay, obnoxious too, in a gracious sort of way. You were a man who had a purpose in life, a reason to be decided by every person he met. Some of us felt we needed to learn more from you, to share more with you. I was waiting to tell Bob that I was having my Brambos brakes painted. But he was gone. Those words saddened me very much—he was gone. Gone, sharing no more with us. The reality in my mind is that he should be here with us at the writers meeting. How much he truly meant to all of us. Sorry for the loss of your compadre.